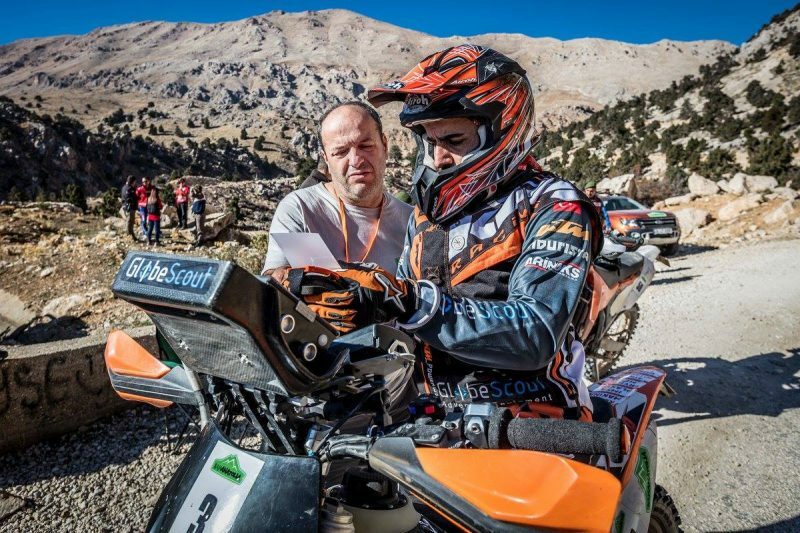 GlobeScout Rally Pilot Ejder Erişti finished the first BajaAnatolia Rally Raid on second place with his bike prepared by GlobeScout. “My whole preparation was actually for Transanatolia 2016 competion. It was a really turning point for me to enter this difficult race which was the organization of my country after deciding to rally with a motorcyle. Meeting with Umit Salkım and GlobesScout RALLY made this a little easier as I got ready with their support. Unfortunately, this race was canceled as a result of what happend in our country. The organizational company made a logical decision and the 3 day BajaAnatolia race was organized. The race was organized with a length of about 450 km and a total of 60 participants. The preparations started immediately after registration procedures. The motorcycle was again prepared within the GlobeScout RALLY and we were on the road for the race after that. Administrative and technical check was done on 17th November morning in Fethiye. The excitement was at the highest level when I started for the ranking tour in Saklıkent. It was priceless to come to the finish line after the 2 challenging stages on the first day of the race. When the second day was told that the stages were more difficult and frustrating, i felt fear and excitement at the same time. I have gone through 3 stages in total. I had good results with my first rally experience. On the last day, I managed to finish the race with 2 relatively short stages. Going fast with navigation and road notation is a very different discipline to be honest. It was a great feeling to have good grades without getting lost in the first race.